The Helio Sequence - "Young Effectuals"
Young Effectuals is the second release by this two-man band from Portland, Oregon. Their first release, Com Plex, earned high marks as an innovate work that was well aware of the roots of rock music. AI's editor Jerry described the first release as "the Beatles in space." 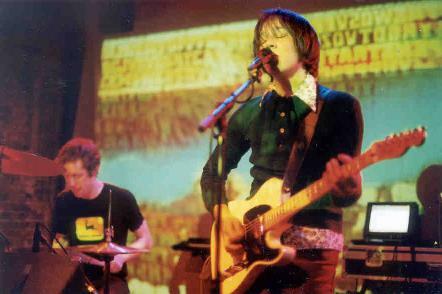 That influence still lingers, but the band have developed and added to the scope of their sound. Their style blends the best of traditional rock with a flowing space and psych dimension that results in a highly ambitious and rewarding dimension in a unique blend. Brandon Summers supplies guitars and vocals while Benjamin Weikel takes care of keyboards and drums. They manage to put together a perfect balance of edge, melody, density, and timing. The second track, "Give, Give, Give" is a good example of how well they shift between soft melodic passages and energetic rock sequences while weaving it together seamlessly with a dreamy wall of electronics that support the core music. "The Echo-Blomp" sticks to the same musical style, but creates variation through a slower tempo and more repetitive, somber vocals. The energy doesn't waver even in a song like this, so the album moves along without any hitches and without sacrificing variation. "Nothing's OK : everything's fine" brings the electronics to the forefront of the mix, so the experience is more fluid, percussive, and extremely space-centric. The lulls verge on ambient while the peaks pound home the same rhythms with the strength and character of psychedelic rock. There's so much going on here that if I actually stopped to dissect the different layers, I'd never make sense of how so much texture can result in such a perfect mix. The rock, electronic, and vocal elements bounce off each other in "Fall and Winter/ Necktie Noose" in a way that one passage sets off the next like a set of chain reactions woven together. Each element seems to do its own thing, but wouldn't exist without the presence of the others. 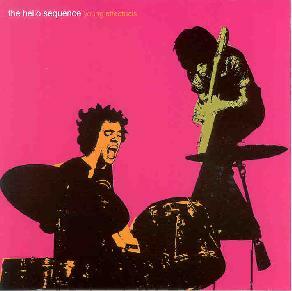 The Helio Sequence have written a fantastic piece of music in Young Effectuals. From conception to production to execution, they have left almost nothing to be desired. A highly recommended release. For more information you can visit the Cavity Search Records web site at: http://www.cavitysearchrecords.com/. Contact via snail mail c/o Cavity Search Records; PO Box 42246; Portland, OR 97242.